So here we are, give or take, two weeks from Christmas. For many businesses the next few weeks are some of the most profitable of the year. Retailers can bump prices up a few percentage points, secure in the knowledge that the shopping frenzy will continue. Hoteliers and airlines can add a premium too – when everybody is traveling supply and demand dictates that higher prices will be accepted. Entire industries expect to make between 25% and 50% of their profits within the few weeks leading up to Christmas. An understanding of buying behaviour is what allows us to optimise prices. 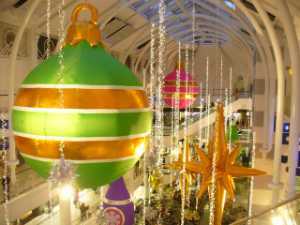 Events, such as Christmas, obviously affect buying behaviour. But during the rest of the year people are less predictable. One area that we can measure, year round, is how interactions across various channels affect a desired outcome. Customers interact with companies through multiple channels, including the website, digital ads, the call centre or CRM application, mobile applications, social media and, of course, in store. Yet, in most cases, digital and marketing teams continue to analyse customer behaviour in silos, limited by existing data warehouses and IT investments. To get a deep understanding of customer behaviour leading companies are combining customer interaction data from all channels and analysing together for insights that are not visible when limited to data from a single channel. An understanding of how our customers interact with us allows us to increase the return on our campaigns, identify new revenue streams, and build innovative products that enhance the customer experience. The potential to win with quality big data is increasing with the amount of data available. For example, a credit card company uses Datameer to analyse large amounts of data in a single set, rather than in separate silos, to uncover marketing insights that have resulted in a 25% increase in conversion rates, and a saving of millions of dollars a year in digital ad spend. A life insurance company has identified behaviours that indicate potential churn, and is now able to act timeously to reduce cancellations on existing policies. Each customer interaction, whether through the website, physical stores, social media or the call centre generates data. Business that use this data to better respond to customer needs, hesitations and intentions enjoy a competitive selling advantage over those that do not. Deeper, data-driven campaigns allows us to effectively tackle challenges like improving customer conversion rates, personalising campaigns to increase revenue, lowering acquisition costs and reducing churn. One of the most effective ways to put customer data to work is to identify and understand high value customer behaviour. This allows us to deliver promotions and advertisements that target those higher value customers, on the channel and in the manner that best suits each individual. The credit card company mentioned above combined social media and transaction data. This allowed them to identify that higher value customer watched the Food Channel and shopped for healthier food types. Using these insights they developed targeted advertising campaigns that targeted high value prospects with health food promotions. This data driven approach allowed them to increase conversion rates (of higher value prospects) and cut digital spend. Most large companies spend hundred of millions on haphazard marketing campaigns that target a broad audience, with a low expectation of results. The savings potential that can be realised by using big data analytics to create targeted promotions is huge. Big data analytics turns data into knowledge. In the age of the customer, this is the competitive edge that separates the winners from the also rans.